Brassica oleracea, or wild cabbage, is a species of Brassica native to coastal southern and western Europe, where its tolerance of salt and lime and its intolerance of competition from other plants typically restrict its natural occurrence to limestone sea cliffs, like the chalk cliffs on both sides of the English Channel. Wild B. oleracea is a tall biennial plant, forming a stout rosette of large leaves in the first year, the leaves being fleshier and thicker than those of other species of Brassica, adaptations to store water and nutrients in its difficult growing environment. In its second year, the stored nutrients are used to produce a flower spike 1 to 2 metres (3–7 ft) tall bearing numerous yellow flowers. Although B. oleracea is believed to have been cultivated for several thousand years, its history as a domesticated plant is not clear before Greek and Roman times, when it is known to have been a well-established garden vegetable. Theophrastus mentions three kinds of this species: a curly-leaved, a smooth-leaved, and a wild-type. It has been bred into a wide range of cultivars, including cabbage, broccoli, cauliflower, and more, some of which are hardly recognisable as being members of the same genus, let alone species. The historical genus of Crucifera, meaning four-petalled flower, may be the only uniting feature beyond taste. It has become established as an important human food crop plant. According to the Triangle of U theory, B. oleracea is very closely related to five other species of the genus Brassica. Growing head of B. oleracea at Hooghly near Bandel in West Bengal, India. The plant is used because of its large food reserves, which are stored over the winter in its leaves. It is rich in essential nutrients including vitamin C.
In places such as the Channel Islands and Canary Islands where the frost is minimal and plants are thus freed from seasonality, some cultivars can grow up to 3 meters tall. These "tree cabbages" yield fresh leaves throughout the year, and harvest does not mean the plant needs to be destroyed as with a normal cabbage. Their woody stalks are sometimes dried and made into walking sticks. Cabbage can be cultivated to grow quite large in frost-free climates like this tree cabbage in the Canary Islands. Some (notably brussels sprouts and broccoli) contain high levels of sinigrin which may help prevent bowel cancer. 1. ^ Daniel Zohary and Maria Hopf, Domestication of plants in the Old World, third edition (Oxford: Oxford University Press, 2000), p. 199. 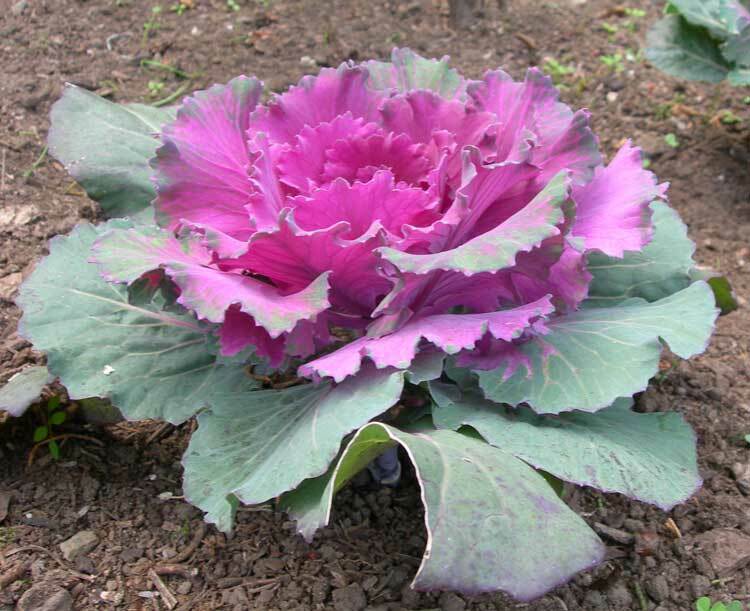 For other edible plants in the family Brassicaceae, see cruciferous vegetables.